I run a kitsune character in RP on a mush who has recently been blessed with twin daughters. 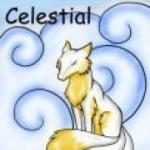 As a member of clan Inari, she is a myobu kitsune, and of course wishes her daughters to become so as well. It's the tradition of her family to have something a bit like a 'christening' for new kits where the parents stand in for them in the taking of the Ten Oaths to Inari. (I'm assuming everyone familiar with the myobu are also familiar with the fact that the first kitsune servants of Inari took ten oaths of service and were granted the shelter and power of Inari's shrines) The kits themselves will take the oaths at their coming of age ceremony, but for now this makes them 'honorary' myobu until they're old enough to actually work in Inari's service. Now I have a lil question... I've searched literally hundreds of sites focusing on kitsune, and while they universally agree that the original myobu kitsune took ten oaths to Inari, none of them have anything about what those ten oaths actually were. One site said these formed the basis of the bushido code, but I researched that as well... Bushido has only 4 oaths, and none of them mention Inari. I know a few...I think. oath not to do things solely for personal gain. At least, I'm 85% sure those are eight of them. I KNOW they're at least our virtues. And this would've been fine in Kitsuhana. We do take oaths, though I'm not sure if they're set in stone or not. I am not sure I agree with these 'oaths" it makes some seem like slaves (no offence) obay orders?.. um ya. no suicide as it's a common known fact that a kitsune must die for one to be born. The Shinri Kyo sect of Shinto has these ten precepts - the oaths you take before joining. 1. Do not transgress the will of the gods. 2. Do not forget your obligations to ancestors. 3. Do not offend by violating the decrees of the State. 4. Do not forget the profound goodness of the gods through which calamities and misfortunes are averted and sickness is healed. 5. Do not forget that the world is one great family. 6. Do not forget the limitations of your own person. 7. Do not become angry even though others become angry. 8. Do not be sluggish in your work. 9. Do not bring blame to the teaching. 10. Do not be carried away by foreign teachings. #3 was probably introduced when Shinto became the state religion. It does have some bearing though on the Japanese mentality - the duty to your lord outweighs your personal desire. #10 was possibly introduced because of the intrusion of either the Buddhist religion, or the Christian religion. Either way, this would make sense.